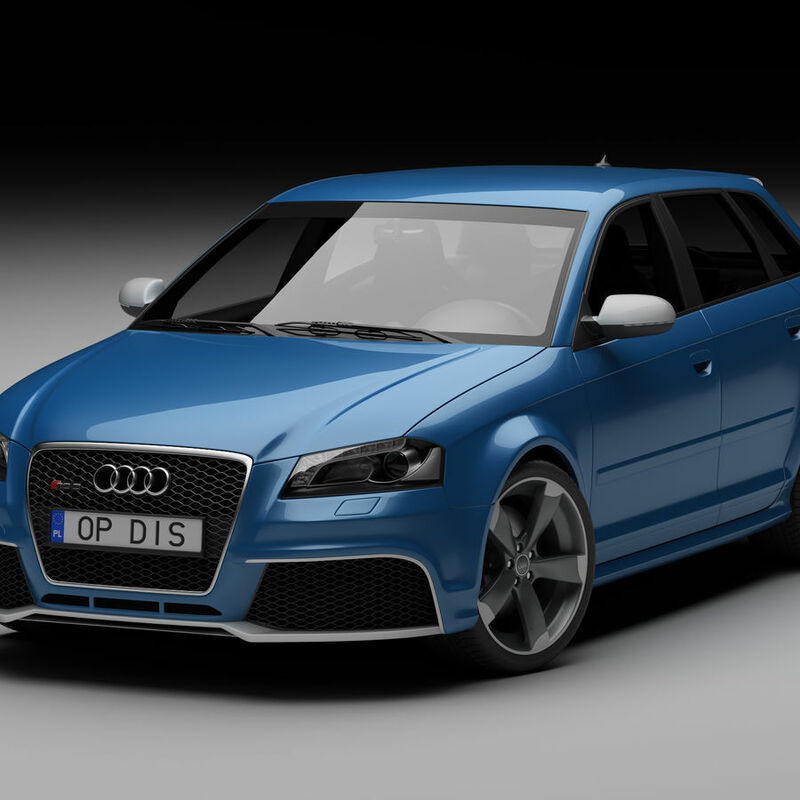 This is highly detailed and accurate 3d model of Audi RS3 2012 exterior and simple interior. 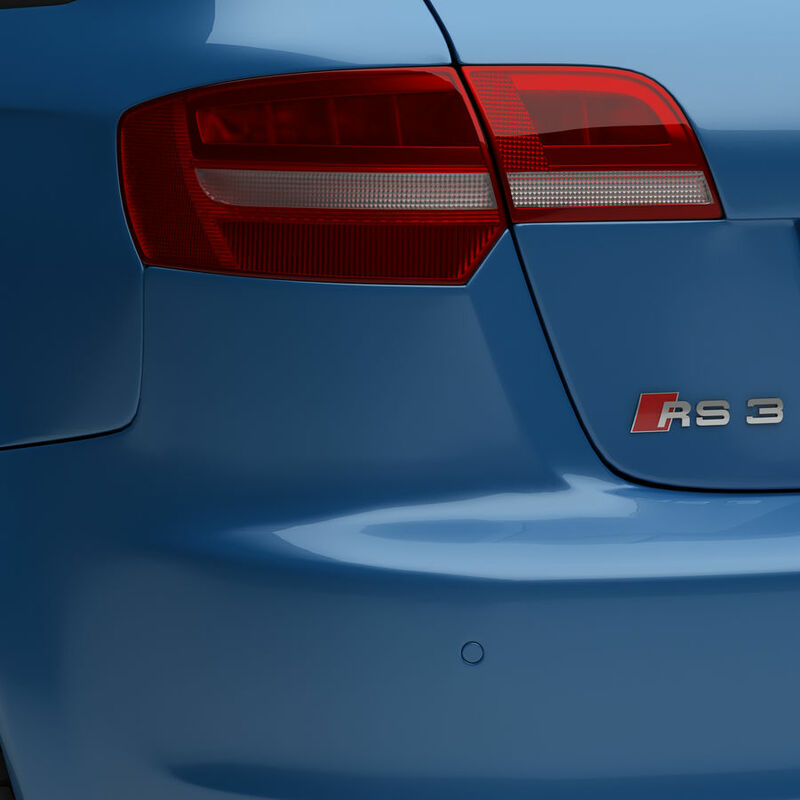 Audi RS3  - high detailed exterior and simple interior - each object has its own name and material so you can easily find and change materials .max format Rar archive contains three scenes: 1. 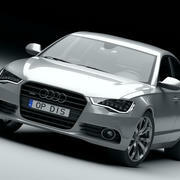 3ds max 2012 with V-Ray(2.30.01) materials, lights and render setup, which you can see in preview images 2. 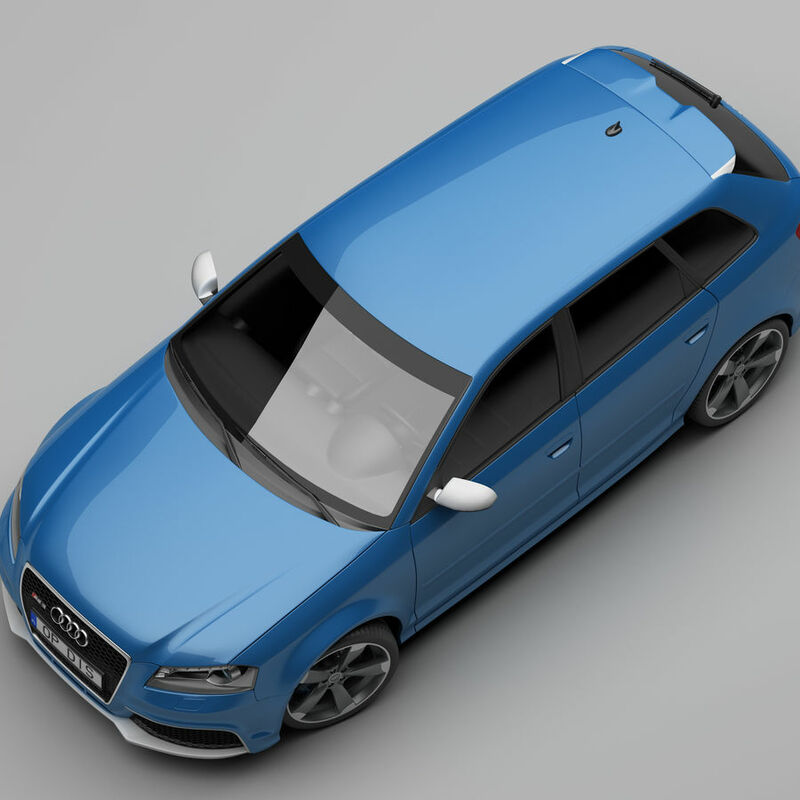 3ds max 2011 with V-Ray(2.30.01) materials, lights and render setup 3. 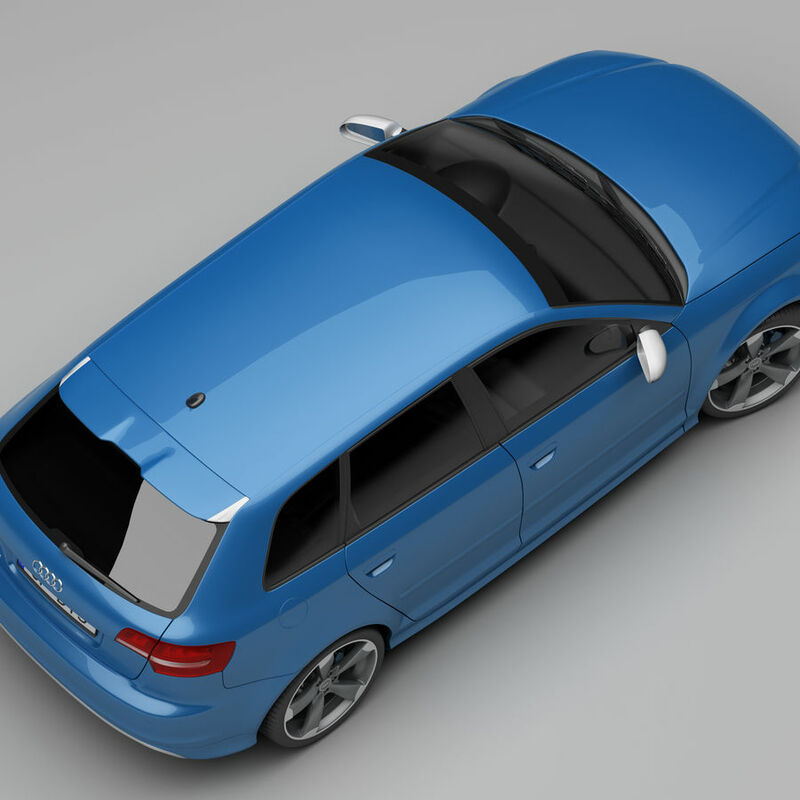 3ds max 2010 with V-Ray(2.30.01) materials, lights and render setup In each scene model is povided with turbo smooth and others necessary modifiers on stack on objects that need it. 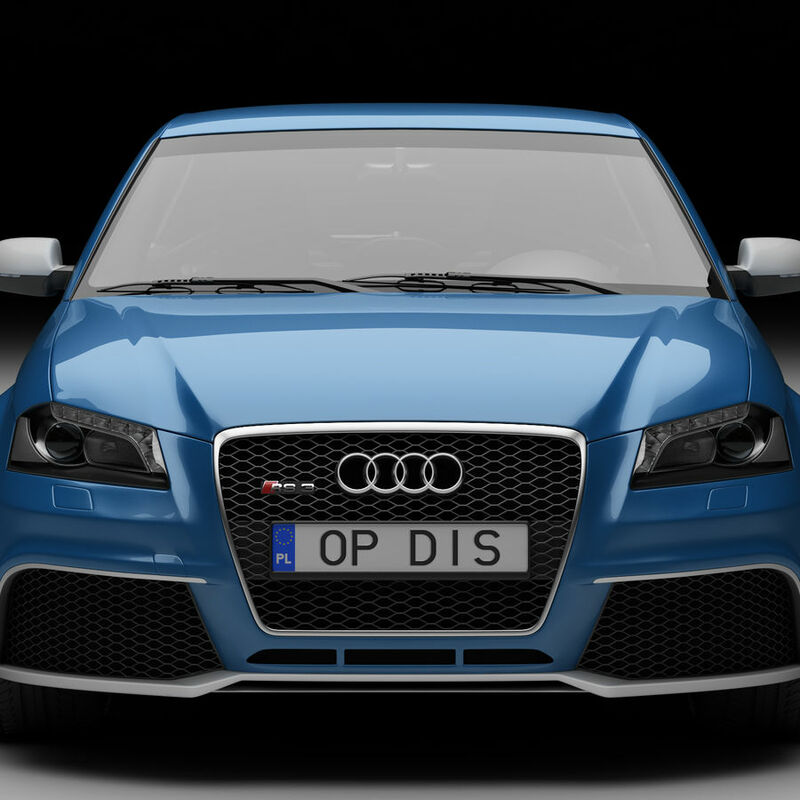 .obj format Rar archive contains two scenes: 1. 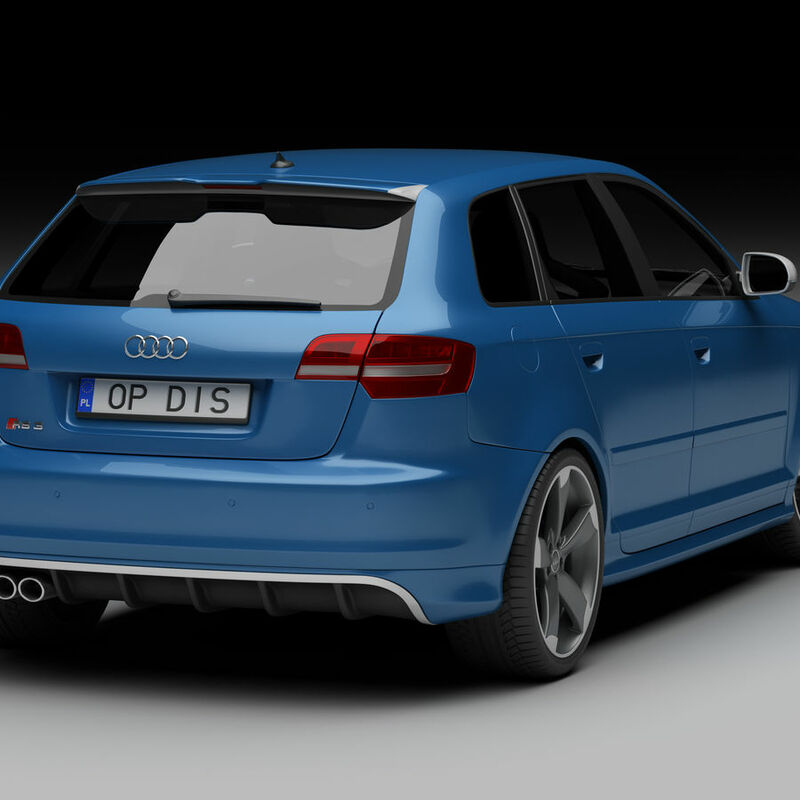 Audi_RS3.obj - with applying turbo smooth 2. 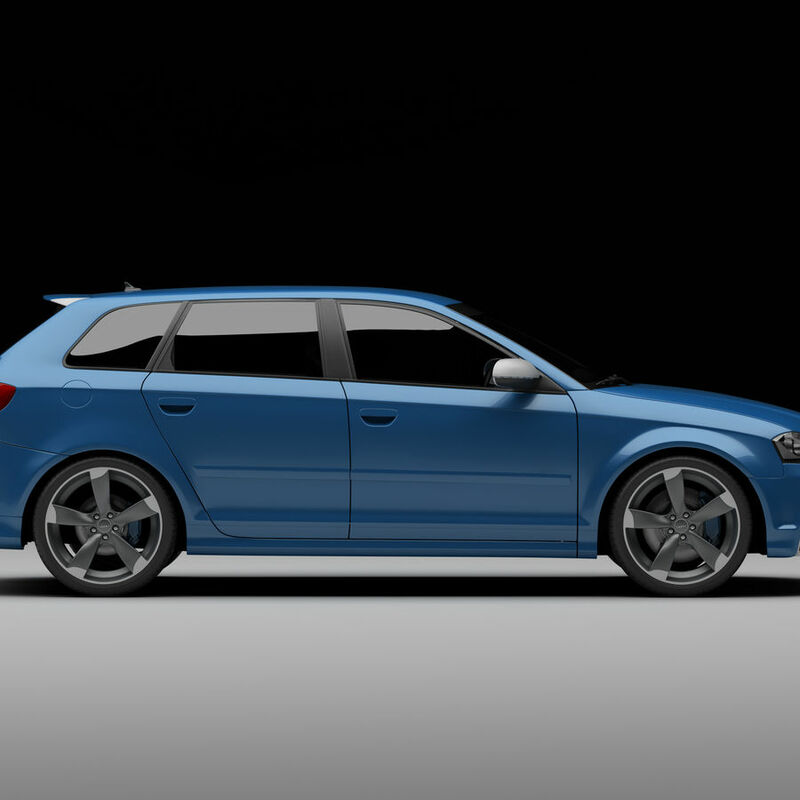 Audi_RS3_before_TS.obj - without smooth modifier. 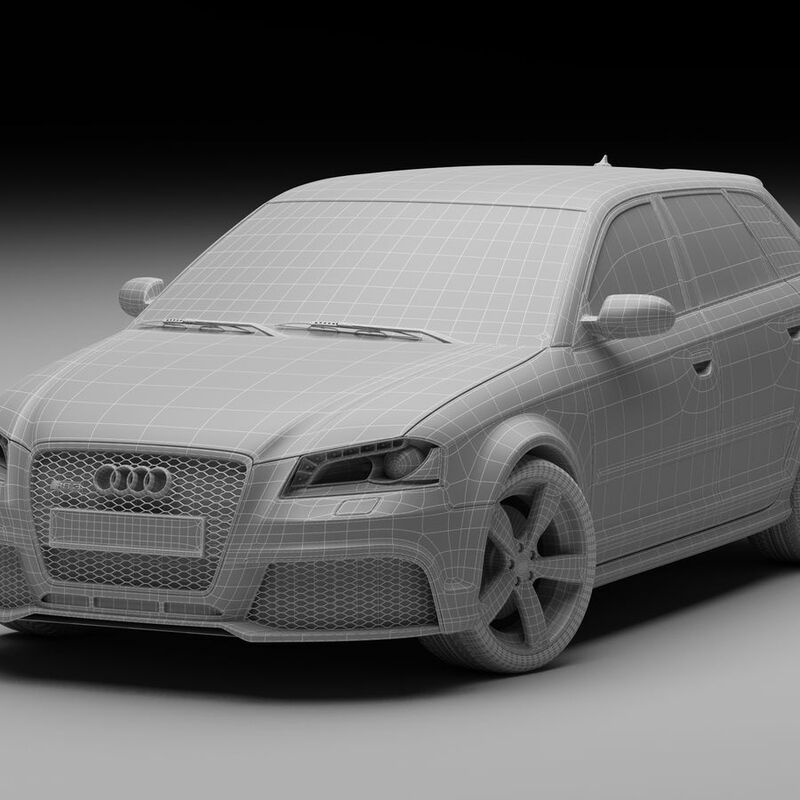 Low or med poly mesh, good if you need to edit model. Basic materials. 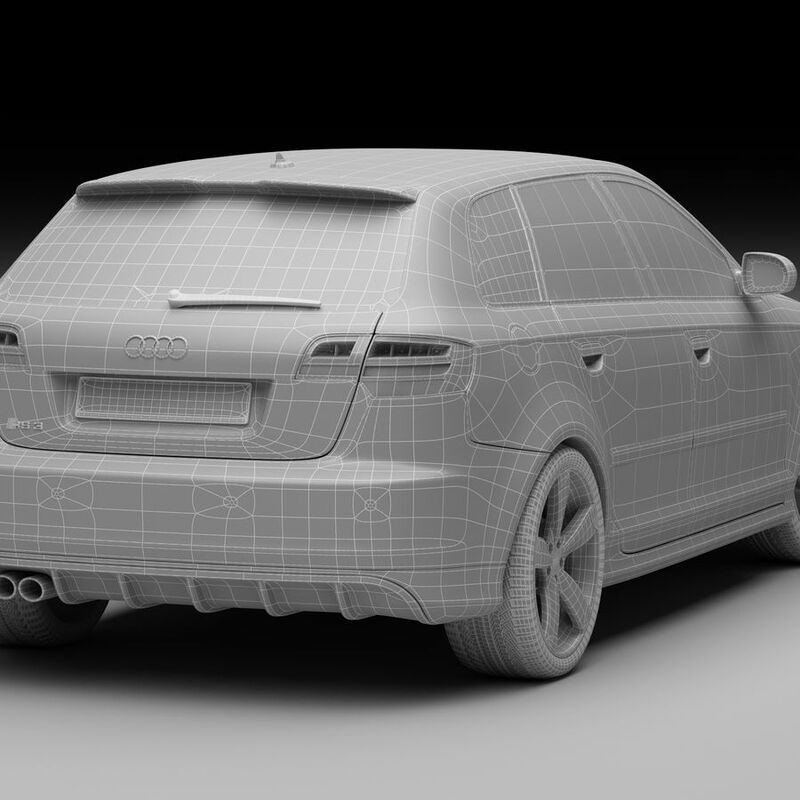 .fbx format Rar archive contains one scene with turbo sooth modifier on stack. Basic materials. 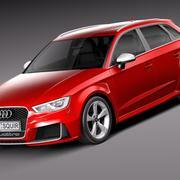 .lwo format Rar archive contains two scene: 1. 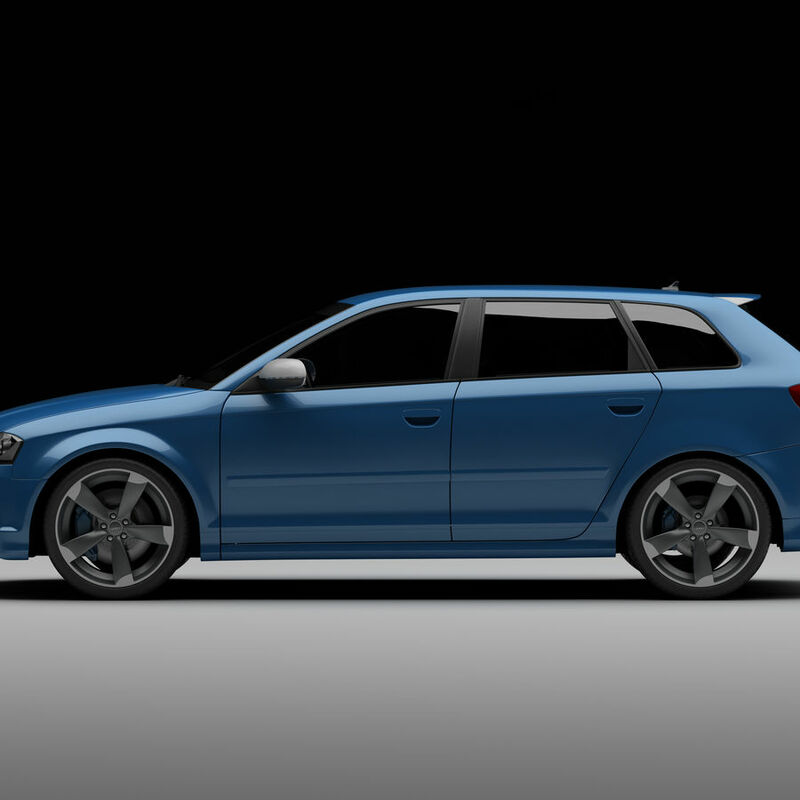 Audi_RS3.lwo - with applying turbo smooth 2. 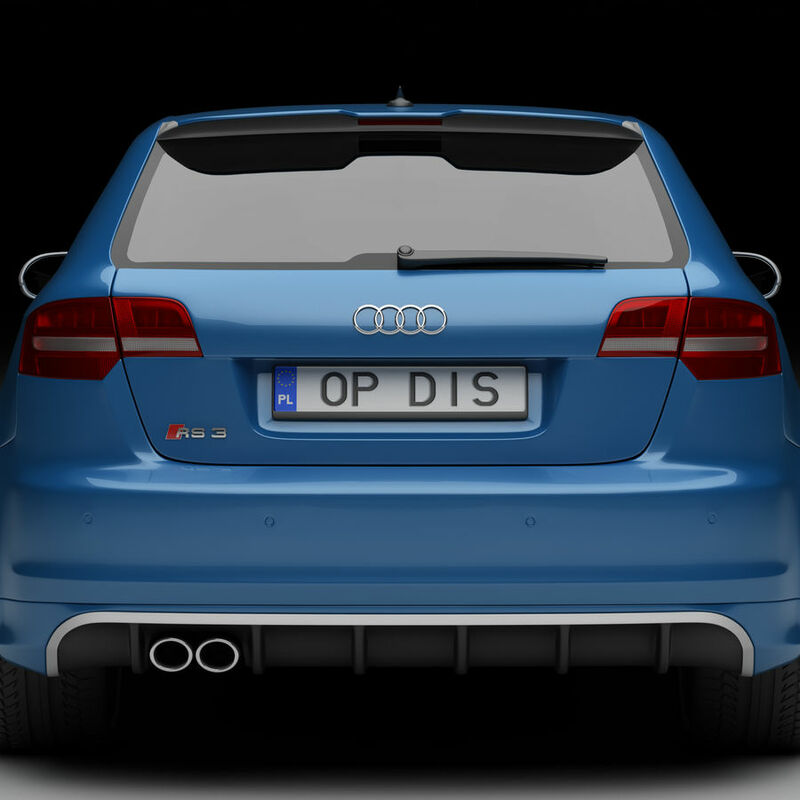 Audi_RS3_before_TS.lwo - without smooth modifier. 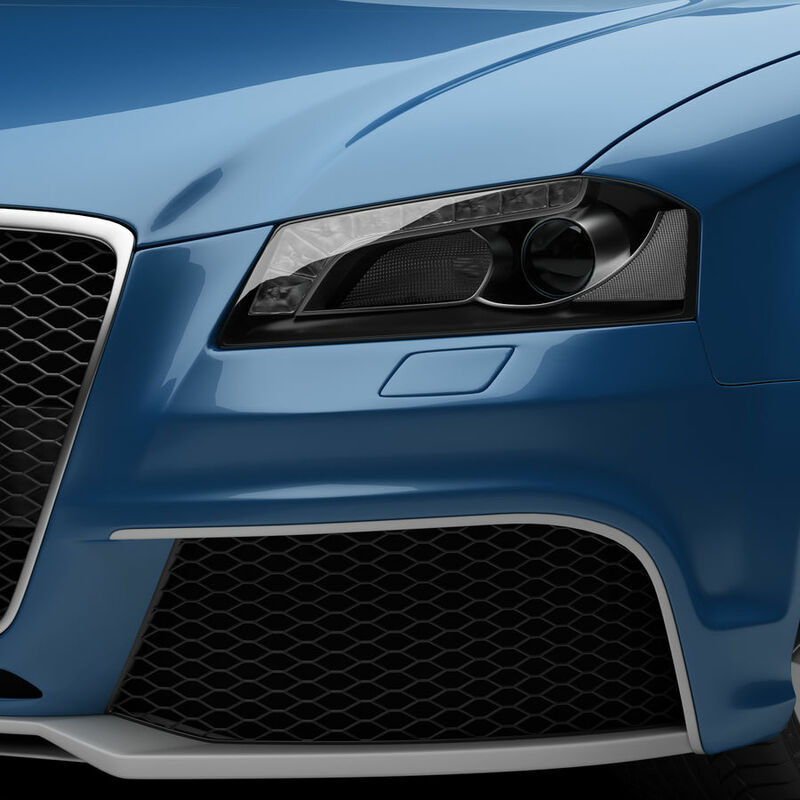 Low or med poly mesh, good if you need to edit model. Basic materials.